CustomMade.com is a revolutionary online marketplace designed to connect consumers with discerning taste to skilled Makers and craftspeople all over the country. Why buy from a big box retailer when you can get something that means so much more, made just for you by a true artisan? CustomMade.com founders, Mike Salguero and Seth Rosen, want to fundamentally change the way people think about buying everything including furniture, home decor, jewelry and ceramics. Their goal is to make custom accessible to us all. The concept resonates with The Grommet CEO Jules Pieri so much so that when it came time to design our new office space, Jules worked with CustomMade.com to bring her vision to life. Delighted with the results, The Grommet has turned to CustomMade.com again, this time, to design and commission a limited run of coin bracelets from Philadelphia jeweler, Stacy Lee Webber whose designs have been featured at The Smithsonian. 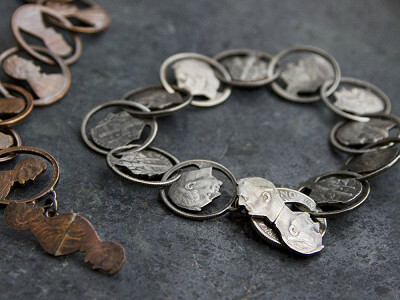 Each handcrafted bracelet is made of out-of-mint pennies and dimes. Move over mass production, custom is making a come back. I'm Mike and I'm the CEO and co-founder of CustomMade.com. Custom is more than an alternative to the big-box retailers... it’s a movement. We believe in supporting local Makers and building thriving, creative communities and sustainable, small businesses across the country. It's our goal to connect consumers interested in creating something truly meaningful with qualified Makers. I can't wait to hear from you and look forward to answering your questions. Let's talk custom! Hi - I have a question regarding the coin bracelets...... Is this considered defacing money? 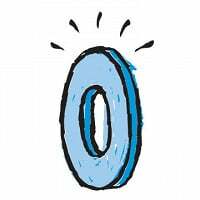 I just had a huge debate with my boyfriend (a former police officer) about creating jewelry out of U.S. currency. He swears that this IS considered defacing money and is something that one can be arrested and jailed over. I would like to know if the CustomMade.com folks did any research and if so, what were they told and by whom? 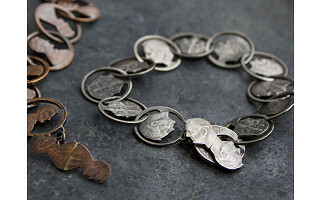 Hi guys this is Stacey Lee Webber I am the maker of these coin bracelets along with other coin jewelry and sculpture.. I haven't been arrested yet! I do get this question a lot and it is not illegal. You have to have 'fradulent intent' for it to be illegal. I am also featured in a couple government sponsored gift shops- Lincoln Memorial Musuem Gift Shop and Ford's Theatre Gift Shop and have been collected by the Smithsonian's Renwick Gallery. Thanks for the question! @Steven @Alene It's no different then the machines where you press a penny into a keepsake at the zoo or someplace. I have them from government tourist locations as well... http://www.pennycollector.com/Details.aspx?location=990 so, I don't see how it would be illegal. I believe it's only defacing paper money that is the issue, or if it is done with a fraudulent purpose. Just wanted to say how much I appreciate shops like CustomMade.com (which I didn't even know about until today!). I am a longtime fan of Etsy and have collaborated with many artisans on that site to create custom jewelry, art, and furnishings, so I am thrilled to learn about a whole new site of artisans and craftspeople who believe in quality, handmade items, made right here at home. Stacey, your bracelets are very cool! I look forward to exploring and purchasing from your site. This is a really nice comment, Lisa. So glad you like them and we were able to introduce you to CustomMade. Hi @Lisa! Thanks so much for your comment. Having something custom made just for you definitely means so much more. As for our Makers... they are the reason we are here. Their dedication, talent, and passion is incomparable. We know you will love working with them and are excited to have you join the CustomMade family! I am Interested in the Hickies - rainbow color. Are they still available? Thanks for the question about Hickies. Right now we are selling the black and white colors, but I will be sure to check on whether the Rainbow color will be available in the future. I'll email you directly. Thanks again. I was just about to ask the same question Steven had, i was interested in having a bracelet made like this but with Mercury Head dimes that i would provide. Is this something that could be done? CustomMade.com is a revolutionary online marketplace designed to connect consumers with discerning taste to skilled Makers and craftspeople all over the country. Why buy from a big box retailer when you can get something that means so much more, made just for you by a true artisan? CustomMade.com founders, Mike Salguero and Seth Rosen, want to fundamentally change the way people think about buying everything including furniture, home decor, jewelry and ceramics. Their goal is to make custom accessible to us all. The concept resonates with The Grommet CEO Jules Pieri so much so that when it came time to design our new office space, Jules worked with CustomMade.com to bring her vision to life.